Scene, collective, band, group, label – nouns that all attest to one irreducible truth: That family is everything. The well-worn truism that art is impossible in a vacuum owes its veracity to the fact that whether you’re an artist, fan, or just invested in any capacity in the service of music, you need the lifeblood that is family. In Singapore, the homegrown record label Middle Class Cigars has burnt a niche as a necessary force. 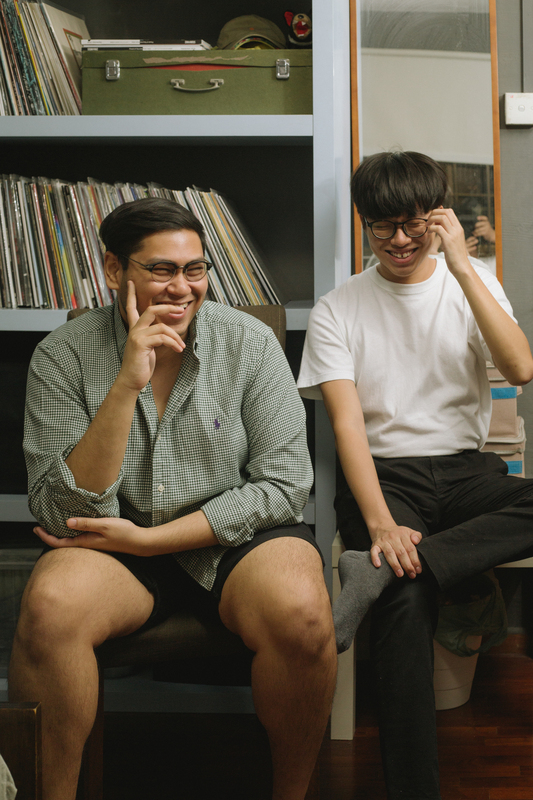 With a formidable payload of some of Singapore’s best rising bands on its roster – Subsonic Eye, Sobs, Cosmic Child and Handsome Girl – it has forged a veritable family amongst its acts that emanates outward to the community of Made In Singapore indie pop and rock. 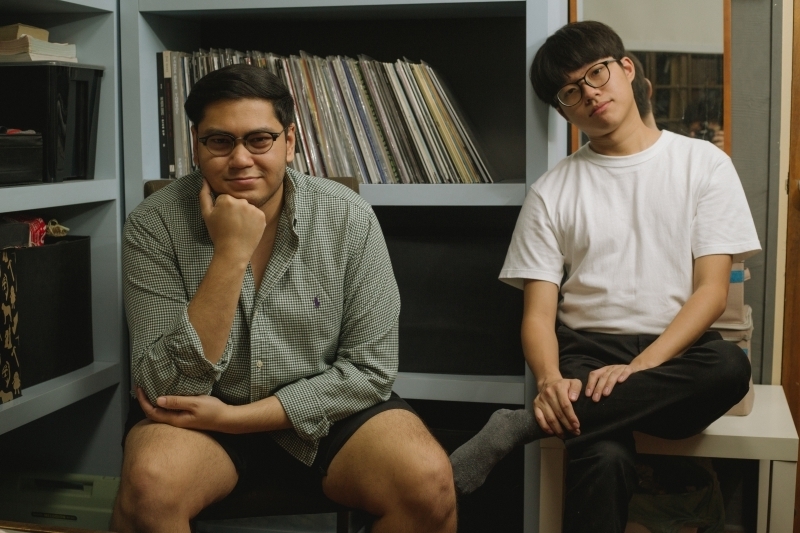 Below, we speak to founder Nigel Lopez as well as Raphael Ong, who plays guitar in Sobs, about the humble origins of their beloved label and how they’ve built a family of kindred spirits. How did Middle Class Cigars start? Nigel: Honestly, there wasn't much thought given to the name Middle Class Cigars. I was really into vapourwave back then. So I got into DJing, I decided to make some mixes, and named them Middle Class Cigars. When I was in poly, studying arts and business management, I knew I was really into music but I didn't really know how I could be involved in my own way. I was always discovering new bands but I was frustrated because those bands just existed. I thought to myself, what could I do that would help these bands. I loved what labels such as Syndicate, were doing but I wanted to have my own style in putting out music as a record label. At what point did Raphael come on board? Nigel: Raphael came on board before the Christmas release. The Christmas compilation was our first release together. Raphael: Before he started Middle Class Cigars, I wanted to start my own record label, as well. I used to work with other bands such as Disco Hue to take photos. I met Nigel at a shoot and I found out that he was working with Subsonic Eye and Cosmic Child. And I thought to myself, I really have to work with him because I loved those two bands. I guess he beat me to it though. What are your roles in the label? Nigel: I do the overall tasks such as public relations. Basically, I'm just establishing networks and connections. Raphael: I do the creative direction such as designing everything from collaterals to press shots. While Nigel handles the big-picture side of things, I handle most of the on-the-ground tasks with the management of the bands. Aside from the two of us, we have Charmaine who helps us out with design, Chris who takes all the photos, as well as a few others. It's a small family. Is that family vibe something that you strived to build or was it already intrinsic from the start? Raphael: We would love to have more people involved but it is difficult to find people with the same interests and are on the same wavelength. I don't know if it's a good or bad thing that we stick with our own people so much. Nigel: I feel we just got lucky that everything fell in place. To me, they are my family because we all understand each other. It's not just about the label, we hang with one another outside of work. We listen to the same kind of music and share it with one another. First and foremost, I feel like we're friends than business people. It wasn't planned or anything. I didn't expect this label to be a family. ‘Dreamy’ and ‘quirky’ are two words that always seem to be associated with Middle Class Cigars. From a music policy standpoint, would you say that you are committed to a specific kind of genre? Nigel: When I started the label, dreampop was my number one genre. That was why I was so drawn to Cosmic Child. And with Subsonic Eye, I wanted to get in early because they just put out music. That’s kind of how the whole label really got put together. But Sobs is kind of different from the two, it was probably the reason for the quirky description but they are not dreamy. The one album that we put up that we wanted to do something different was Handsome Girl. That was a risk for us because it was different. We were worried about how people would perceive it. At the end of the day, I didn't really care. I was just happy that the album was released. Would you be averse to signing a non-conventionally indie band that plays, say, hip-hop or metal? Nigel: The question is whether we can live up to it. We aren't well-versed with either nor do we have the contacts in the hip-hop or metal scenes. So I feel we won't be able to do a good job with them. The basis of it is that as long as we can add value to musicians, we will work together. That’s why we are comfortable in the indie scene and we're open to various genres within the indie scene. Why release music on cassettes? Nigel: I was really into Bandcamp and collecting novelty items. Back then, artists in the vapourware scene were putting out cassettes. I was very attracted to the idea of owning them; I also just like how they are designed. Vinyl records are expensive to produce and the CD is dead. Since cassettes are going through a resurgence, I wanted a physical medium to stand out from the rest. Raphael: I've always been a vinyl record person. Cassettes were something new to me. Logistically, it makes sense. In an Asian context, there's not a lot of people putting out cassettes. To a certain extent, we might have contributed to the resurgence of cassettes in the Philippines, where the bands under us are popular in the market. One of the most admirable thing about Middle Class Cigars is that it managed to organically cultivate a loyal fan base entirely on the music you put out. How do you feel about that? Nigel: I just want to say that I feel like we are so undeserving of our fan base. Every time we put on a show, we'll think no one's going to come. But on show day, a good number of people come and it's crazy. In our head, we put out music for ourselves but there are people out there that actually love it. The simplest thing that fans could do is listen to our music but they do more than that. Raphael: It stills blows my mind that when people come to our shows overseas. I really want to give back to these people. What tips do you have for the next generation of indie-minded fans of music who are tinkering in their bedrooms and wanting to do what you do? Nigel: Don't wait for someone else to steal your ideas. Just go ahead and do it. Don't be afraid to take risks. If you want people to hear your music, don't expect people to just find it on their own. You have to put in the effort. Now more than ever, it’s your chance to step out of the market in Singapore. Raphael: One thing that we've learnt throughout everything, so far, is to believe in the music. Another tip is not to work with your friends. Find strangers and be friends with them. There's so much as stake when you start a company with friends. It puts a huge strain on the friendship and the company as well.